Tied or tacked quilts are most often relegated to the functional uses. In fact there are some, like my father, who don’t consider a tacked quilt a “real” quilt. In his world, a tied quilt was a comforter and a stitched (quilted) one was, well a quilt. My father isn’t alone. There are quilt shows that limit the exhibition to those quilts that are stitched together. I think it comes down to how you were raised and what type of quilts you were exposed to. In my father’s case, his mother made both stitched and tied quilts. However, the stitched quilts were the ones given as gifts, and with the more intricate designs. The tied quilts were those the family used every day. Thus, for him, a tied quilt wasn’t a real quilt. I didn’t grow up with quilts or quilters and taught myself to quilt, with the help of my mother-in-law. For me, a quilt is a quilt and I love them all. Plus, every quilt has a story, tied, or stitched. Tied quilt my mother-in-law made, probably in the late 30’s. The 9patch’s are flour sack fabric. Almost every quilter has a manually operated Unsewing Machine. Otherwise known as a seam ripper. However, a few weeks ago, Alex Anderson unveiled the latest in sewing innovations, a stitch eraser. Enjoy. Quilts are one of our most versatile household items. A quilt can wrap and calm a crying baby. Give comfort to a grieving adult. Children love hiding in, and playing pretend in their quilt forts. There are quilted table cloths for both fine dining, and picnics at the park that can double as a cover up should the need arise. Quilts are perfect cushions at outdoor events, ready to be used for warmth should the temperatures drop. A quilt can be folded and placed on the foot of the bed for decoration, yet still available as a cover. Quilts can be made into clothes, stuffed animals, and totes. Whatever the need, the versatile quilt is sure to be available to fill it. How do you wash your quilts? My quilts are made for everyday use, they get thrown in the washer and hung out on the line. However, I do have some special quilts that don’t get washed. They don’t get used, I place them on the bed from time to time to relax the threads and let them air out. Other than that, no washing. If a special quilt must be washed I wash it in the bathtub. Actually, it soaks in a solution for delicate fabrics. The water is then squeezed out and the quilt rinsed, and re-rinsed. Then, it’s placed on a sheet outside, with another sheet covering it (to protect it from direct sun and bird droppings) until it is dry. Yes. It is a lot of work. No, I don’t do it often. However, there are times when a washing is just what is called for. How about your quilts? Washable? Non? This entry was posted in A to Z, challenges, Devoted to Quilting and tagged alex anderson, Blog, bloggers, devoted to quilting, flour sack, friends, Home, household items, outdoors, photos, pictures, quilt, quilt show, quilter, quilters, quilting, seam ripper, sewing, table cloths, transportation, travel on April 26, 2013 by Nita. Looking back. Sometimes it’s a good thing to look back at where we’ve been. On Katie Ganshert’s blog today her main character, Bethany took over. Katie is looking forward, or at least planning, on allowing Bethany to return to her hometown. The planned trip has Bethany looking back, way back to her growing up years. So far she doesn’t like what she sees, will the view be different close up? 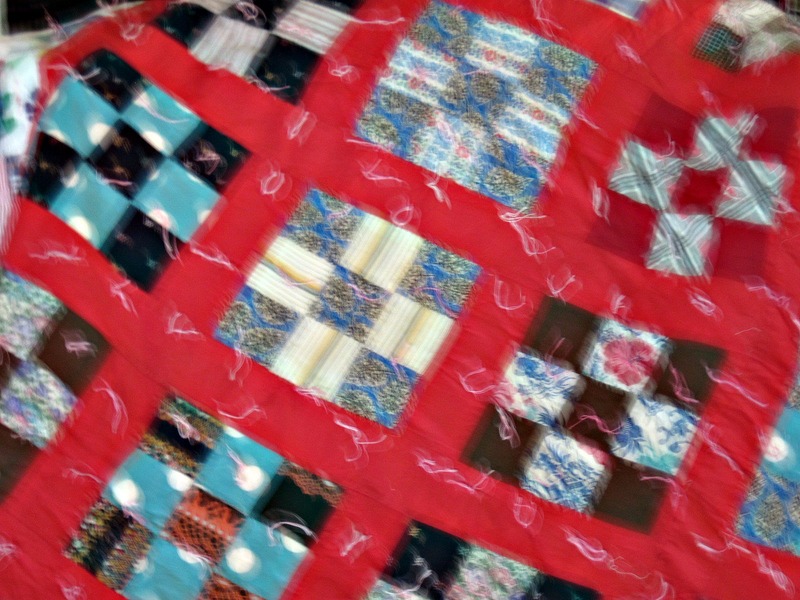 To answer the question quilters have to look back, in their memories, at quilts they’ve completed by chain piecing and remembering how they sewed the quilt. The answers, on the Facebook page, vary, and are fun to read. What we can’t read though are the actual memories. Memories about a particular quilt and the problems it caused, or how easily it went together; memories of the reason for the quilt. Sometimes those memories are happy, we are making a quilt for a loved one to enjoy. Sometimes the memories are sadder, the quilt will never be seen or cover a loved one who has left and gone home. Whatever the memories, they’ve been relegated to where they belong, the past, until we are asked to mentally travel back to that time to answer a question. Returning to our past, either in our memories or physically will help us today. 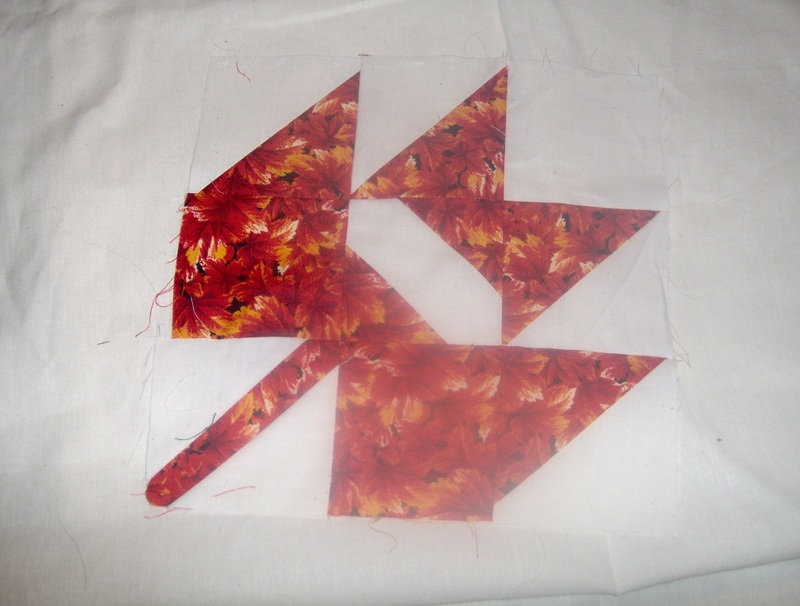 We can see the mistakes we made, both in quilting and in life and adjust our actions to avoid those same mistakes. Staying in the past isn’t good for anyone, but visiting once in a while can help us tremendously. This is what happens when you get in a hurry to finish a block. realized the mistake. Most of them were ‘unsewn’, however a couple weren’t. 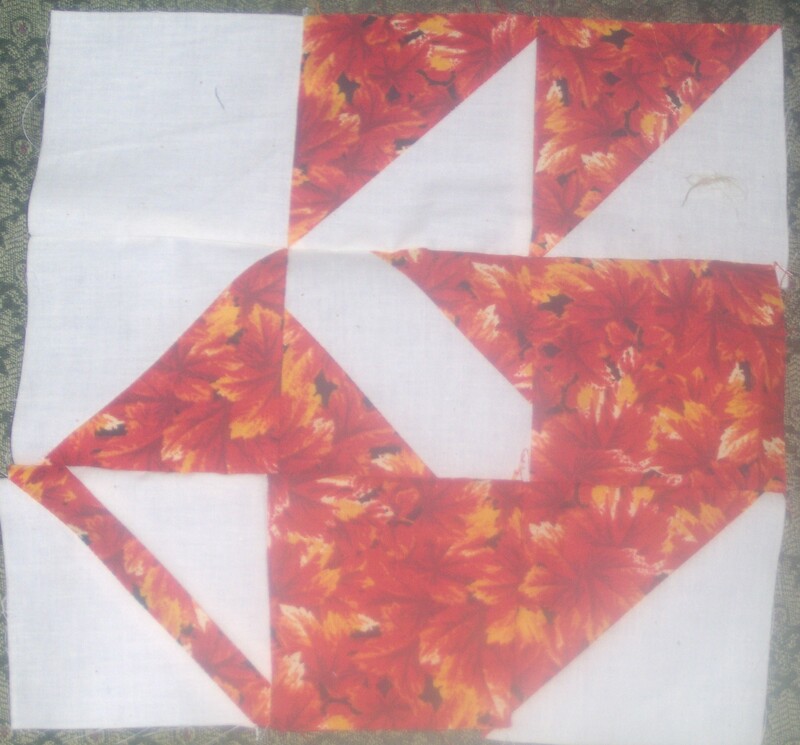 The mixed up blocks will be used in the quilt as “crumpled leaves.” Also, traveling back to when the quilt blocks were made, reminded me to take time and verify the correct order of sewing the patches. Have you traveled back to your past, either physically or in your mind? How was the trip? Did you learn anything that can help you today? This entry was posted in adventure, Bible verse, Devoted to Quilting, faith, Wednesday's Word and tagged alex anderson, Bible, Blog, bloggers, devoted to quilting, diy, family, friends, Home, quilt, quilt show, quilters, Ricky Tims, those memories, travel, vacation on April 11, 2012 by Nita.